How do I run an app on a phone or tablet? Kids can easily run the apps they build on smartphones and tablets. Bitsbox apps are really just web pages; to run them on a device, you open the webpage in that device's web browser. The easiest way to "send" the web address to the device is by using a QR code reader to scan it right off the student's computer screen. If you're on your device already, go to https://apple.co/2GxHsFU OTHERWISE, go to the App Store and search for "Mixerbox". 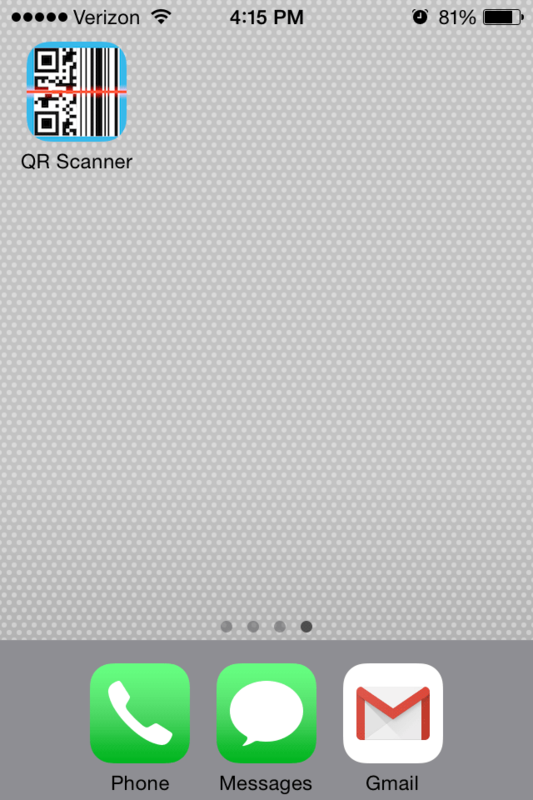 Scroll down a few apps until you see their app titled "QR Code Reader & Barcode Scanner". (There are many QR scanner apps, but this is one of our ad-free favorites). When prompted, enter your account password. 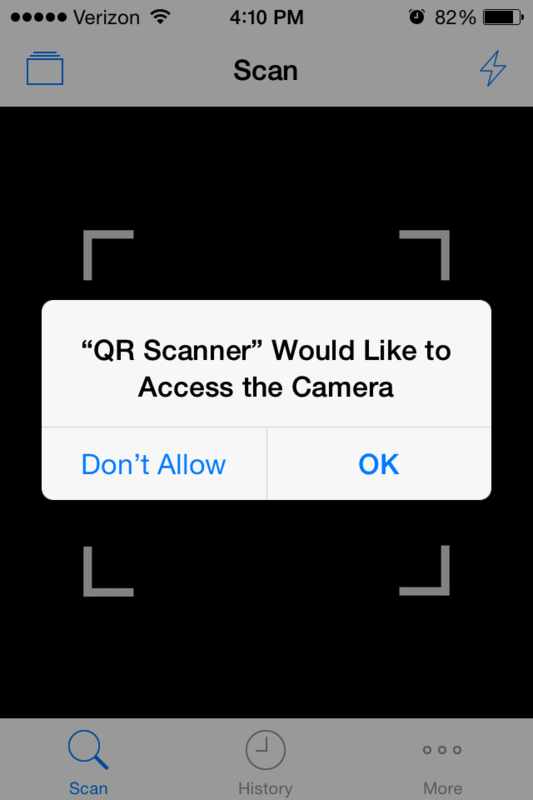 When you first launch the QR Scanner it will prompt you: "QR Scanner" Would Like to Access the Camera. Click OK. When you're ready to scan a Bitsbox app, click to open the app. Point the camera at the QR code on the screen to scan the code and run the app on your iDevice. 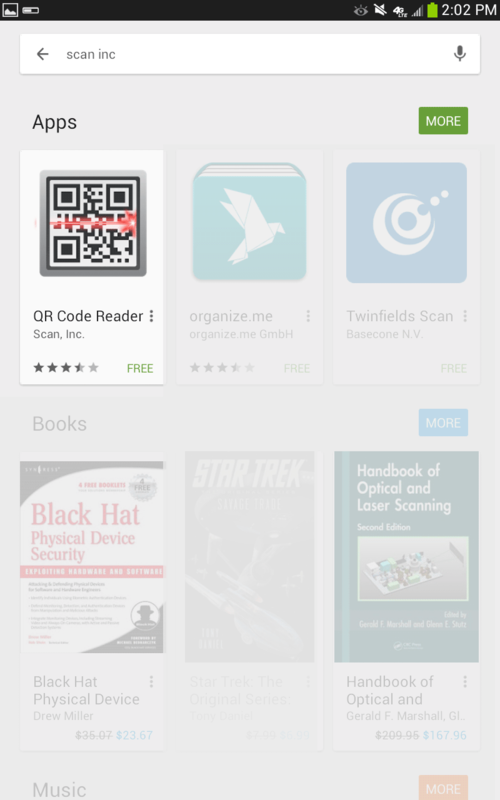 If you're on your device already, go to http://bit.ly/1jh3Jp1OTHERWISE, go to the Play Store and search for "Scan, Inc". Click "QR Code Reader" then "INSTALL" (There are many QR scanner apps, but this is one of our ad-free favorites). 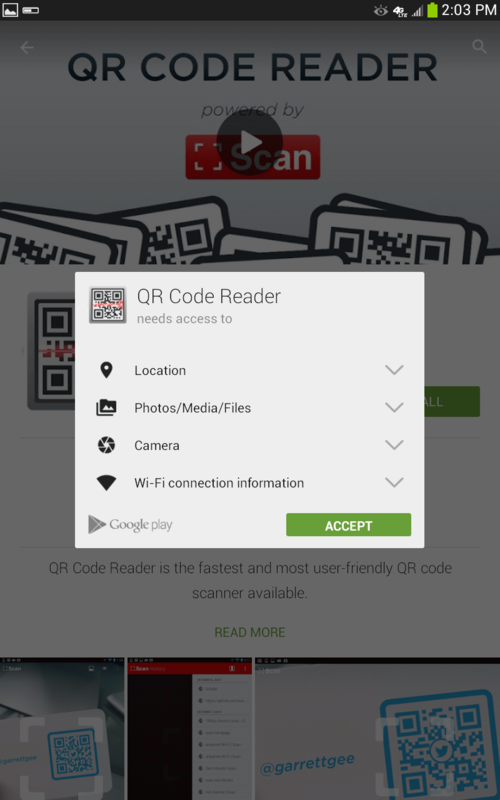 When it prompts you: "QR Code Reader" needs access to various things, click OK. When you're ready to scan a Bitsbox app, click to open the app. Point the camera at the QR code on the screen to scan the code and run the app on your device.